“That doesn’t even sound like a Disney movie,” I thought to myself. “That sounds like a DreamWorks movie. And not the DreamWorks that made How to Train Your Dragon (2010), I mean the DreamWorks that made Shark Tale (2004) and Over the Hedge (2006).” The whole concept sounded so generic and uninspired that it was almost impressive how bland it was. I made no plans to see the film. And then it was released early this month to huge acclaim from critics and, a worldwide box office gross of almost $700 million. According to review aggregator site Rotten Tomatoes, 99% of critics gave the film a favorable review (based on 187 reviews compiled), making it the most highly-rated Disney film since 1940’s Pinocchio. 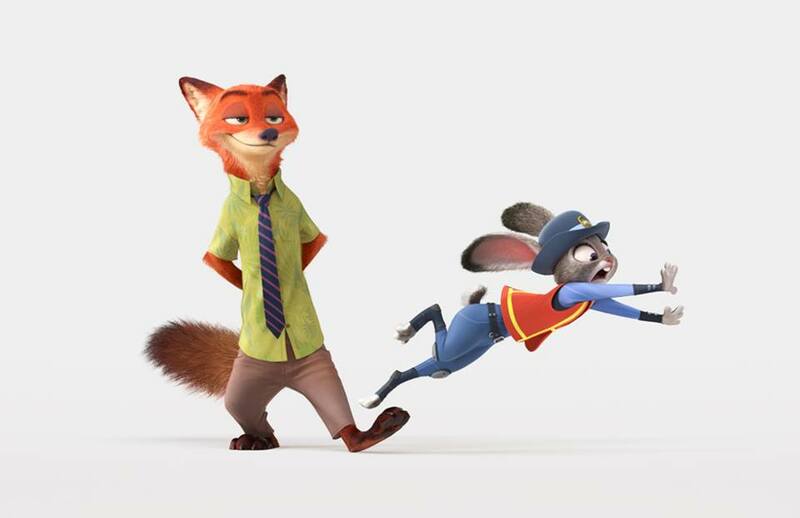 All-in-all, Rotten Tomatoes currently ranks Zootopia as the fifth greatest animated film of all time according to the critics. So with this information, I felt compelled to go see the film. I was shocked at just how well the film lived up to the praise. Zootopia is a fantastic piece of work. It’s as whimsical, imaginative and funny as you would want a family film to be, but it is also thoughtful, intelligent, draws on very serious, very timely real-world issues and never talks down to its audience despite being targeted at children. These qualities represent the latest example in an ongoing shift in the way family entertainment, and specifically, animated feature films, are being made and thought about. There’s always been a popular attitude of derision towards family films, and towards animation in general. People write it off as kid’s stuff. Parents view these movies as a tool, plopping their kids down in front of the TV and letting Netflix or a DVD of Frozen be their babysitter. Even members of the Academy of Motion Picture Arts and Sciences— supposedly the top men and women in their field— tend to share this view, with many members feeling that the artform is beneath them and unworthy of their time. In February of 2014, The Hollywood Reporter published a collection of interviews conducted with seven voting members of the Academy. One member— who spoke on condition of anonymity but is identified as “a longtime member of the Academy’s directors branch”— couldn’t even be bothered to watch any of the animated films nominated for Oscars that year. Small wonder then that the artform has struggled to achieve any kind of respect or legitimacy. Some filmmakers came to think of this status-quo as being the limit of their media, and just accept the meager role to which they’ve been relegated. They churn out bland, soulless film after bland, soulless film and parents buy movie tickets and DVD’s by the shovel full because each movie buys them ninety minutes that they don’t have to spend being an active parent. Studios, in turn, see that movies like Ice Age and The Smurfs continue to make money, and so they just keep churning them out. Ultimately the kids suffer for it, seeing film after film that condescend to them rather than engage them and always seek the lowest common denominator rather than try to actually understand and entertain their audience. It wasn’t always this way. We used to see films like 1982’s The Dark Crystal, 1985’s The Goonies and 1986’s Labyrinth, films that were made with a family audience in mind but which treated that audience with respect and were willing to take risks. The cinema of Hayao Miyazaki reflects the same values, with the content of his films being driven by emotion and artistic vision. Films like his 2001 opus Spirited Away are not diminished by their intended audience, but instead are given the same care, thought and dedication befitting an Academy Award-winning film. What we’ve been seeing over the last few years is the resurgence of that same mentality, the willingness to take risks on unconventional materials and to present kids with more complex and mature themes in the good faith that they can understand them. I’m not a psychologist, but I have a strong belief that children are a great deal more intelligent and perceptive than adults give them credit for. And I think the evidence suggests that I’m not the only one who feels this way. Take 2012’s Paranorman for instance. The trailer suggests a rollicking spookfest suitable for children of all ages. And yes, that is indeed accurate. It’s also a film that deals with the themes of ostracisation, hysteria, alienation, the fear of the unknown, and the dire— or even lethal— consequences that they can have. Not to mention that it might be the first children’s film to feature an openly gay character, whose mere existence makes it more inclusive and sophisticated than much of the adult-oriented entertainment in theaters and on TV right now. But perhaps I’m biased due to the fact that Paranorman was made by Laika, a studio that I love and adore. So let’s look at 2014’s Big Hero 6. By the trailer, it looks like light-hearted action-comedy about a team of unlikely superheroes fighting crime in cyberpunk San Francisco/Tokyo. And at parts, that’s about the size of it. At other parts, it deals with the very real-world phenomenons of trauma, loss, grief and survivor’s guilt, and how the support of a community can help a person overcome them. Children are seeing and loving these films, not in spite of their emotional and intellectual aspects but because of them. You might remember what it was like to be a kid, how fun it was to pretend to be a grown-up, and how not fun it was when people would talk down to you just because of your age. Children like to be taken seriously, to be engaged mentally and treated like an equal. And children are responding to films like last year’s Inside Out because that’s exactly what they do. The success of these films suggest that maybe it’s time for children’s movies to stop sugarcoating things quite so much. I have nothing against Disney princess films. On the contrary, I’m probably a lot more fond of them than the average 23 year-old man. But these films are pure fantasy. They don’t speak to any kind of reality that the children watching them will ever know. A little fantasy and romance here and there is perfectly fine, but not every kid’s movie needs to have a prince, a princess and a happily ever after. There needs to be a place for movies like Inside Out and it’s story about how emotionally turbulent it can be just to be a kid in the 21st century. There needs to be a place for movies like Zootopia, whose predator/prey dichotomy is a thinly-veiled allegory for the racial discrimination, disenfranchisement and inequity that has haunted this nation since its genesis. There needs to be a place at the table for these films, and it looks like one has just opened up. Nathan DeCorte can be reached at nathan.decorte@spartans.ut.edu.